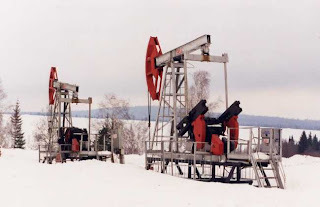 Oilholics Synonymous Report: Price correction, Saudis hurt Canada & Russia! Finally, we have a price correction which saw both global oil benchmarks reflect the wider macroeconomic climate accompanied by a dip in stock markets and a downgrade of 15 of the world’s largest banks by Moody’s. NYMEX WTI forward month futures contract fell below US$80 per barrel on Thursday for the first time since October 2011 while Brent is just about resisting the US$90-level trading at US$90.77 when last checked. The benchmarks have shown bearish trends for almost three months but they were still not reflecting the wider macroeconomic climate; until yesterday that is. The ‘only way is up’ logic based on a linear supply-demand permutation oversimplifies the argument as the current situation demonstrates. Factors such as the absence of QE3 by the US Federal Reserve, a stronger US Dollar, and weaker Chinese, Indian and European data finally influenced market sentiment – not to provide the perfect storm but to provide the perfect reality! A decline in German business confidence levels reinforces bearish trends which will last for a while yet. Despite negative sentiments and the possibility of Brent trading below US$100 per barrel for prolonged periods between now and Q1 2013, OPEC did not cut its quota last week. Saudi Arabia, which is so dominant within the cartel, actually wanted to send the price lower as it can contend with Brent falling to US$85 per barrel. From a geopolitical standpoint, Saudis not only kicked a sanction hit Iran (maybe gleefully) but delivered bad news for Russia (perhaps intentionally) and Canada (almost certainly unwittingly). Saudi rivalry with Iran has more than a ‘crude’ dimension, but one with Russia almost certainly revolves around market dominance. The Oilholic’s hypothesis is that this intensified when Russian production first overtook Saudi production in 2009. As the world’s leading producer for over two years, Moscow was causing Riyadh some discomfort. So the Saudis raised their game with the Libyan conflict and Iranian sanctions giving them ample excuses to do so. Constantly flouting OPEC production quotas, this February Saudi Arabia regained its top spot from Russia. Now with prices in reverse, it is the Russians who are sweating having rather bizarrely balanced their budget by factoring in an oil price in the circa of US$110 to US$120 per barrel. Several independents, ratings agencies (for example S&P) and even former finance minister Alexei Kudrin repeatedly warned Russia about overreliance on oil. The sector accounts for nearly 70% of Russian exports and Vladimir Putin has done little to alter that dynamic both as prime minister and president in successive tenures. Realising the Russian position was not going to change over the short term and with a near 10% (or above) dip in production at some of their major fields; the Saudis ramped up their production. A masterstroke or precisely a deft calculated hand played by Minister Ali Al-Naimi planked on the belief that amid bearish trends the Russians simply do not have the prowess, or in fact the incentive, to pump and dump more crude on the market has worked. A Russian production rise to 10 million bpd is possible in theory, but very difficult to achieve in practice in this macroeconomic climate. So the markets (and the Saudis) expect Russia to fall back on their US$500 billion in reserves to balance the books over the short to medium term rather than ramp-up production. Furthermore, unless the Russians invest, the Saudis’ hand will only be strengthened and their status as ‘crude’ stimulus providers enhanced. Canada’s oil sands business while not a direct Saudi target is indeed an accidental victim. The impact of a fall in the price of crude will also be very different as Canada’s economy is far more diversified than Russia’s. Instead of a decline in production, the ongoing oil sands and shale prospection points to a potential rise. Canadian prospection remains positive for Canadian consumers and exporters alike; provincial and federal governments want it, justice wants it, PM wants it and the public certainly want it. However, developing the Athabasca oil sands and Canadian shale plays (as well as US’ Bakken play) is capital and labour intensive. For the oil sands – holding the world’s second largest proven oil resource after Saudi Arabia’s Dhahran region – to be profitable, crude price should not plummet below US$60 per barrel. Three visits by the Oilholic to Calgary and interaction with colleagues at CAPP, advisory, legal and energy firms in Alberta between 2008 and 2011 threw up a few points worth reiterating amidst this current crude price correction phase. First of all, anecdotal evidence suggests that while it would rather not, Alberta’s provincial administration can even handle a price dip to US$35 to 40 per barrel. Secondly, between Q2 2007 and Q1 2008 when the price of crude reached dizzy heights, oilfield services companies and engineering firms hired talent at top dollar only to fire six months later when the price actually did plummet to US$37 per barrel in wake of the financial crisis. 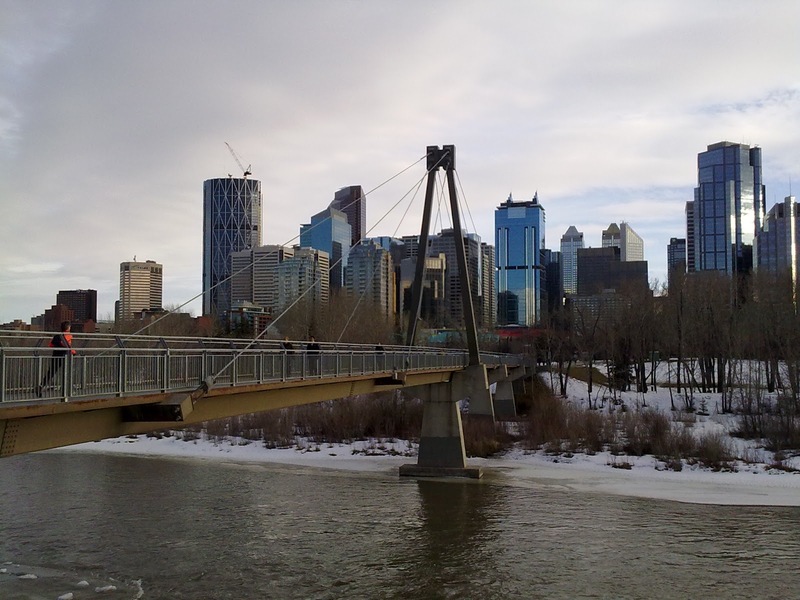 Following a wave of redundancies, by 2010 Calgary and Fort McMurray were yet again witnessing a hiring frenzy. The cyclical nature of the industry means this is how things would be. Canadians remain committed to the oil & gas sector and in this blogger’s humble opinion can handle cyclical ups and downs better than the Russians. Finally, Canada neither has a National Oil Company nor is it a member of any industry cartel; but for the sake of pure economics it too needs a price of about US$80 a barrel. On an even keel, when the price plummets or the Saudis indulge in tactical production manoeuvres, as is the case at present, you’d rather be a Canadian than a Russian. The Oilholic has long suspected that the Saudis look upon the Canadians as fellow insurers working to prevent ‘oil demand destruction’ and vying for a slice of the American market; for them the Iranians and Russians are just market miscreants. That the market itself is mischievous and Canadians might join the 'miscreants' list if proposed North American pipelines come onstream is another matter! That’s all for the moment folks! Keep reading, keep it 'crude'! © Gaurav Sharma 2012. Photo 1: Russian pump jacks © Lukoil. Photo 2: Red Square, Moscow, Russia © Gaurav Sharma 2004. 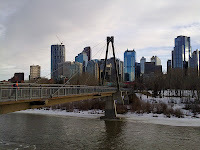 Photo 3: Downtown Calgary, Alberta, Canada © Gaurav Sharma 2011.